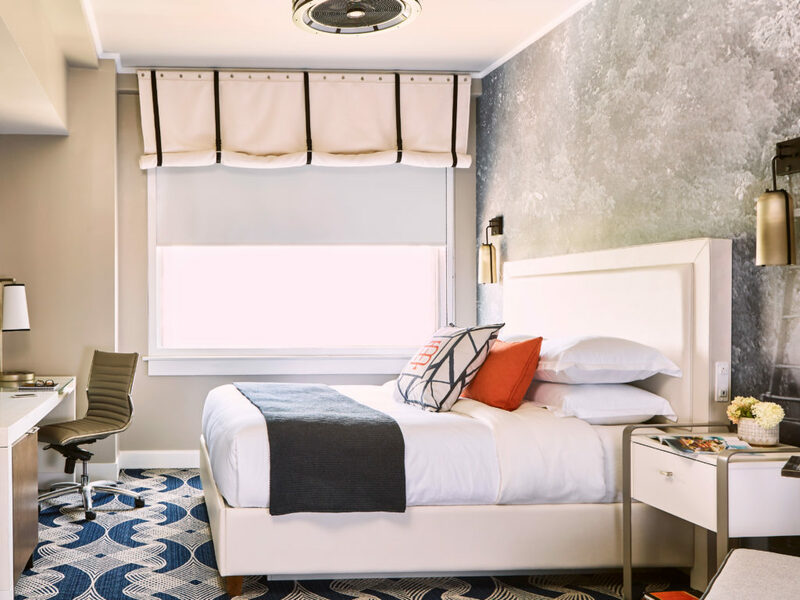 Management company Charlestowne Hotels teamed with developer McCall Capital on the historic preservation of the 65-room hotel, located on the original site of Bristol’s 1925 Executive Plaza building. 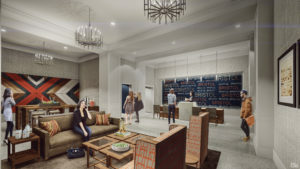 Earl Swensson Associates was tapped for the hotel’s design. 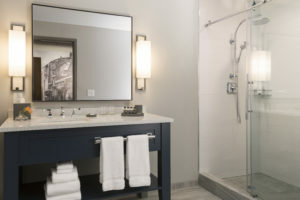 The design of the property preserves original architectural elements, such as exposed brick and hand-pressed lettering, as well as the former elevator pulley system, which is repurposed for decorative use as a main focal point in the lobby. 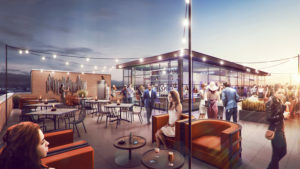 Dining options include Lumac, Bristol’s first and only rooftop bar, which offers live music and panoramic views of the Blue Ridge Mountains; and Vivian’s Table, the hotel’s signature street-level restaurant, serving family-style, Southern Appalachian cuisine with farm fresh bounty and original recipes passed down by the owner’s mother. The property also offers up to 3,000 sq. ft. of meeting space, including a historic 1920s arcade that has been transformed into an entryway for dinners, weddings and other social events.